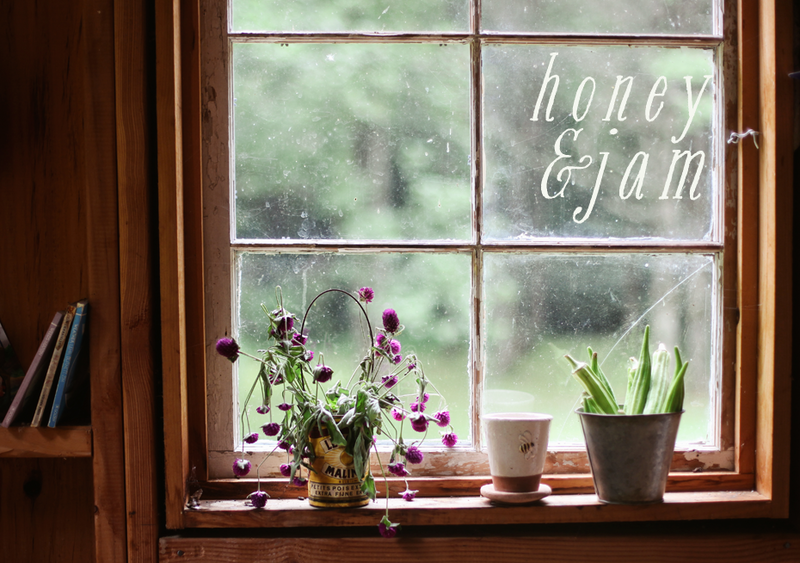 honey & jam | recipes + photos: Inspiration. 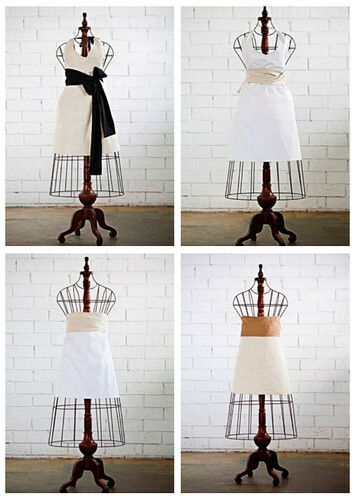 These aprons are absolutely beautiful, simple and understated. There’s something so charming about them, with names like “rolling pin oatmeal” and “pecan orchard pleasantries”. When I found Whitney Smith’s beautiful etsy shop the other day I had to tweet about it immediately. Her pottery is stunning. 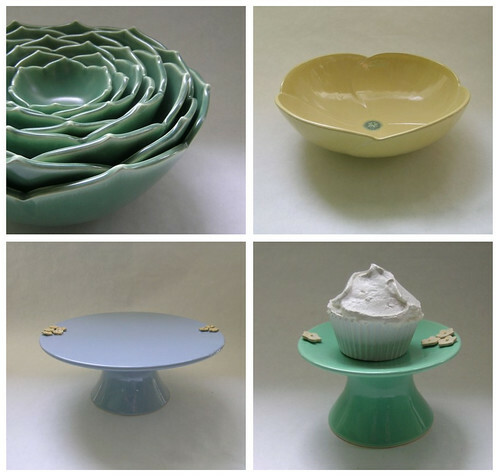 She makes everything from cute little cupcake stands to big lotus nesting bowls. I want one of everything! I am endlessly inspired by Jennifer Causey. Her breakfast blog, Simply Breakfast is one of my favorites. You can purchase her beautiful photos at her etsy shop here. 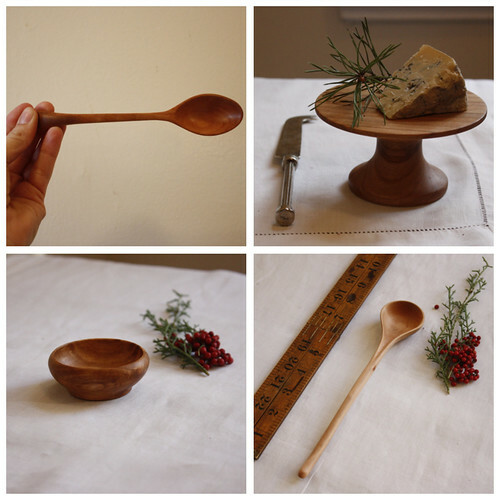 Handmade wooden spoons, bowls & other beautiful things. I was smitten with this shop as soon as I found it. You can also check out Nikole’s beautiful blog here. Food Loves Writing: Shanna’s writing will make you laugh and make you cry, she’s incredibly talented. She’s also a genuinely nice person, and I’m glad to have met her. Sprouted Kitchen: There’s so much I could say about Sara’s blog! The photos are absolutely beautiful, the writing is so down to earth and all her recipes look terrific, everything I’ve tried has come out perfectly! Seven Spoons: Tara is one of my favorite writers, she transports you with her beautiful words, plus, she’s an amazing photographer. 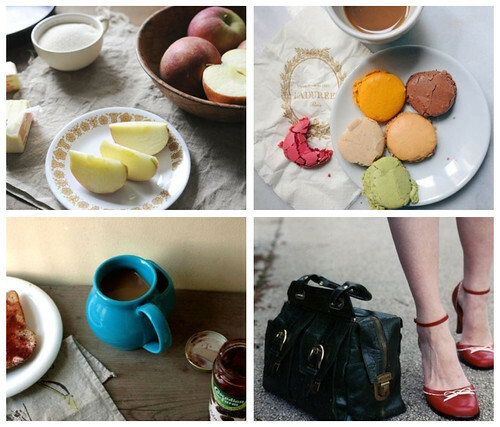 Her photos are simple and rustic, I love everything about them. Mae Bird: Amanda is a very talented photographer. She recently got back from an inspiring trip to Bangladesh, where she met fair trade artisans, it was great to read about her travels and the people she met. Her blog is definitely one to check out. This list doesn’t even put a dent in my list of favorite things. There are so many other inspiring blogs & etsy shops that I love. I hope to do more posts like this in the future! Tell me, what do you find inspiring? I love finding new things! Those are some gorgeous aprons. My mom would love them! I find so many of the blogs I read to be very inspiring. I love the passion that comes out in people. One of my most favorite is iammommy.typepad.com by Amanda. She is amazing! the aprons are positively beautiful. i love the simplicity. thank you for introducing me to some other great reads. i'll look forward to curling up with tea and the laptop of the holidays. everything is so inspiring indeed! yay! what a fun list. 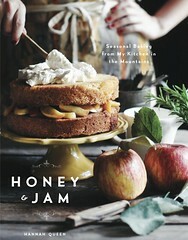 And Honey & Jam is on my fave list as well :) Merry Christmas Hannah! Thanks for the new blogs to check out. I love Sprouted Kitchen too. Sometimes I just want to crawl into her phots and curl up and live there. I want all of those aprons, right..... NOW!!!! Very nice post! I love it! Well, I find your blog inspiring! I am a new reader and I just love your blog. And, I love these links. I can't wait to explore them all. I collect Aprons and always look for something to add to the collection. THANK YOU!!! What is your favorite article in FW2009? The aprons are too cute. Thanks for the blogs to check out, that's how I found your blog. what a sweet post! im flattered to be on that list with the other ladies in my rss as well ;) Hope you enjoyed your holiday! I'm sure you surprised everyone with special treats! Good luck with vegetarian january! I'm also in deep, true love with those Ice Milk Aprons. Thank you so much Hannah for including me in your collection of friends. Sending hugs your way. Your blog is so inspiring. I love your photography, Hannah! The wood platform you have in a lot of your photos... is that an old table or what? I'm in love with it! Wow, what a fantastic post. The best post around. Thumbs up!